If you're in need of a copy of a document we can process this for you quickly and cheaply. From light-weight matt paper to heavy-weight glossy paper, we stock a huge variety for you to chose from. If you don't have the artwork our team on in-house designers can help. Business or personal, give us a try for all your promotional needs. Jazz-up your party invites to make them stand out. 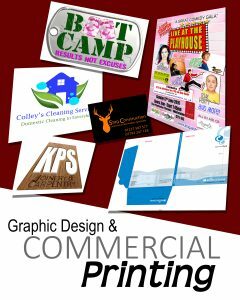 Get noticed with eye-catching individually designed posters. Short run prints to reflect seasonal changes!